Cheilinus lunulatus, (Forsskal 1775), The Broomtail Wrasse. Western Indian Ocean; Red Sea and Gulf of Oman. Sometimes sold into the ornamental trade; though it gets quite large (males to about 20 in.). Red Sea 08 trip. 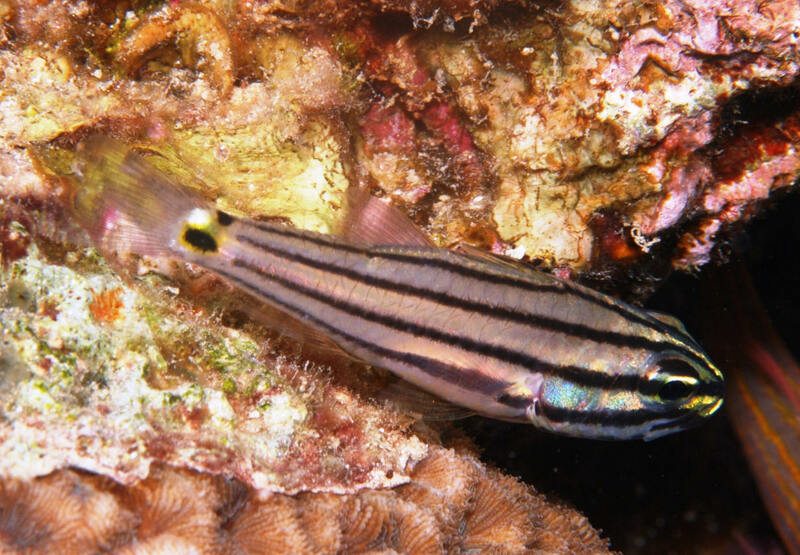 Cheilinus mentalis Ruppell 1828, the Mental Wrasse. Western Indian Ocean and Red Sea. To eight inches overall length. Rare in the western pet-fish trade. Red Sea 08 trip.